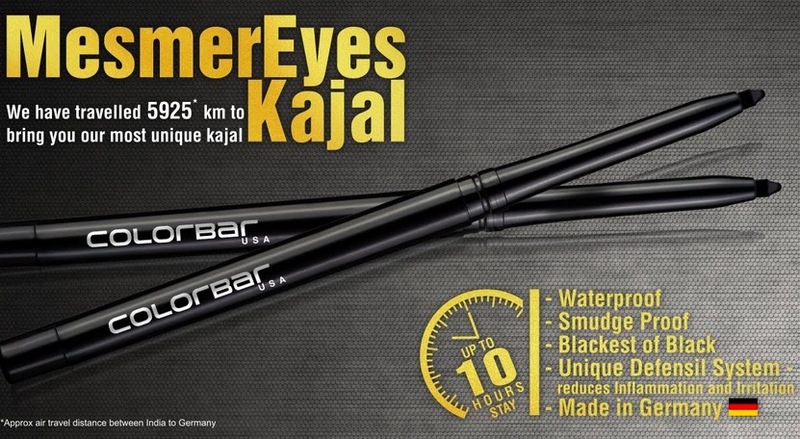 Popular beauty brand Colorbar Cosmetics has introduced a new MesmerEyes kajal in the market. 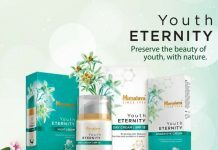 The brand claims that the kajal has been formulated with unique and patented ingredients to give maximum care and the bestest of the experiences. 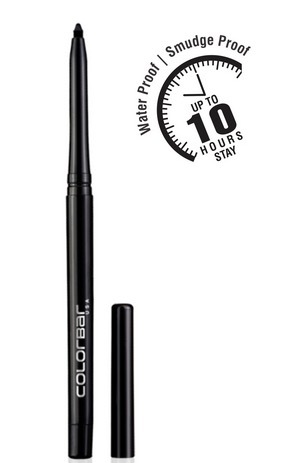 Colorbar MesmerEyes Kajal comes in a retractable pen form which is very convenient to use and you can easily carry it in your purse. It is enriched with some unique ingredients like Hyaluronic Acid, Vit C, Vit E, Vit B3, and sunflower oil. It is highly pigmented and gives an intense color payoff just with a single stroke. 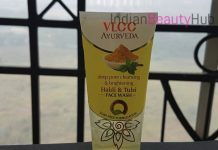 It can be used as a kajal on waterline and also as an eyeliner on the upper lash line. It has a blackest of black color and stays put for up to 10 hrs. 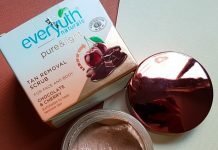 It has a waterproof, Smudge-proof & Non-transfer formula. It has a Unique Defensil System that helps reduce inflammation and irritation. It is suitable for contact lens wearer. The price of the Colorbar MesmerEyes Kajal is Rs.200 for 0.35g. It is easily available at Colorbar counters and also online at Colorbarcosmetics.com. Kajal: Gently pull down the skin beneath your lower eyelid. Until you can see the waterline. Run the kajal over the waterline once for a traditional look, or retrace the area once or twice to create a bolder, more dramatic appearance. Eyeliner: Draw the line starting from the inner corner of the upper eyelid along the lash line. Continue it to the outer corner, making it slightly thicker as you draw.